India’s IPO market is turning hot again with two big IPOs lined up in the coming days in the form of HDFC Asset Management Company (HDFC AMC) and Lodha Developers. First to hit the markets will be HDFC AMC IPO which opens for subscription on 25 July and it will be a keenly watched offer following the successful listing of HDFC Standard Life last year. The offer, priced in the range of INR1,095 – 1,100 per share, aims to mobilize as much as INR2,800.33 crore by selling 25,457,555 shares. All the shares will be offered by existing shareholders, valuing the firm at nearly INR23,316.6 crore at the upper end of the price band. HDFC has a solid track record when it comes to corporate governance and rewarding shareholders and thus, investors have high hopes from the offer. This is also visible in the strong grey market premium the offer is commanding. Through HDFC AMC IPO review, we try to find out if the company’s valuation leaves something on the table for investors. There will be no fresh shares in the IPO and all the shares will be offered by the company’s promoters – HDFC and Standard Life Investments. HDFC currently holds 120,772,800 shares or 56.97% stake in the company while Standard Life Investments owns 80,515,200 shares or 37.98%. HDFC plans to sell 8,592,970 shares while 16,864,585 shares will be offloaded by its joint venture partner. Following the IPO, HDFC’s stake in the AMC will drop to 52.92% while Standard Life Investments will pare its stake to 30.03%. Average cost of acquisition of HDFC and Standard Life Investments is INR19.53 and INR15.01 per share, respectively which means that both will reap multifold returns. While the two promoters are the biggest shareholders, there are other prominent names like KKR India Financial Services (0.59%), HDFC AMC Managing Director Milind Barve (0.49%), HDFC AMC Chief Investment Officer Prashant Jain (0.42%). The asset management arm of HDFC needs no introduction. It is not only the largest asset management company in India, measured by equity-oriented Asset Under Management (AUM), but also the most profitable. Since financial year (FY) 2002 when it commenced operations, profits have increased every year. With a total AUM of INR2,919.85 billion as of 31 March 2018, HDFC AMC is among the biggest players in the market with a diversified set of offerings. As of March 31, 2018, its portfolio included 133 schemes that were classified into 27 equity-oriented schemes, 98 debt schemes, 3 liquid schemes, and 5 other schemes (including exchange-traded schemes and funds of fund schemes). The company reaches its customers in over 200 cities through a countrywide network of 209 branches and service centers of its registrar and transfer agent. 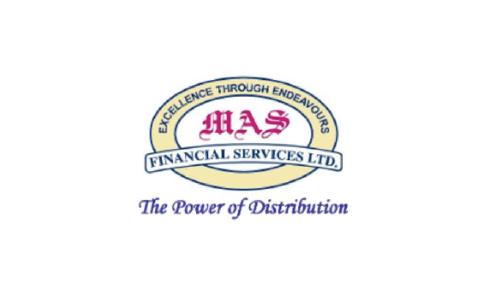 In addition, it has 65,000 distribution partners across India, consisting of Independent Financial Advisors (IFAs), national distributors and banks. At the end of the latest FY, 27.6%, 21%, and 17.3% of its AUM was contributed by IFAs, national distributors and banks while the remaining 34.1% was invested in direct plans. The parentage of HDFC has evidently played a big role in the success of the AMC. Listed companies of the HDFC group include HDFC, HDFC Bank, HDFC Standard Life Insurance and GRUH Finance. As seen in the table below, the company has achieved superior revenues and profits year after year. In the process, it has more than doubled its topline and bottomline in the last five years with stable margins. Evidently, the company operates a highly successful business model and part of its robust profitability is due to a high proportion of equity-oriented AUM in total AUM. Against the industry average of 43.2%, nearly 51.3% of HDFC AMC’s AUM is into equity-oriented schemes which generally have a higher fee structure compared to non-equity-oriented schemes. These margins are much better than Reliance Nippon Life AMC – the only listed company in the asset management space. As readers can check our analysis of Reliance Nippon Life AMC IPO, it is worth highlighting that HDFC AMC’s profitability of 34.6% in FY2017 is a significant improvement over RNAM’s 28.1%. HDFC AMC’s figures have further improved to 38.6% for the latest FY. HDFC AMC IPO Review: Should you invest? So far in HDFC AMC IPO Review, we don’t see anything worth losing sleep over. It wouldn’t be a stretch to say that HDFC group is the gold standard in capital markets with its pronounced focus on generating value for shareholders. This means the group puts a higher importance on profits over bragging rights and this approach has helped the group companies in avoiding the several pitfalls, mostly related to unnecessary diversification. HDFC AMC has continued the legacy and there are no instances of excessive compensation to executives. On the other hand, it is good to see that top executives Milind Barve and Prashant Jain have linked their fortunes with the success of the company. In Taleb’s words, they both have their skin in the game. It is also worth highlighting that the company has paid dividends over the last five years and its dividend payout ratio increased from 41% in FY2014 to 56% in FY2018. Of course, HDFC AMC was directed by SEBI to cancel the private placement of shares worth INR150 crore to 140 distributors and financial advisers in April 2018. Some would say this incident ran contrary to HDFC group’s corporate governance and had a conflict of interest. At the same time, it is worth highlighting that the placement, at nearly 5% discount to the IPO price band, did not change anything for retail investors. In fact, it was quite similar to the discount retail investors get in PSU IPOs. As the private placement stood cancelled, KKR was more than happy to get into picture and buy the shares, along with the interest component. 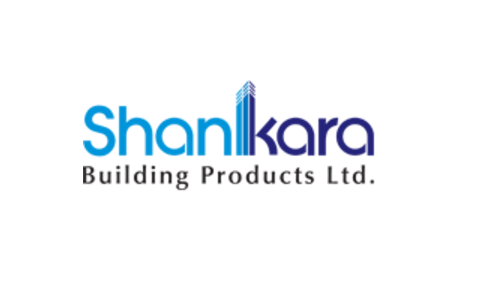 For the latest year ended 31 March 2018, the company’s Earnings Per Share (EPS) stood at INR34.96. This means that the price band of INR1,095 – 1,100 per share values the business at Price/Earnings (P/E) ratio of 31.32 – 31.46. This is better than Reliance Nippon Life AMC which launched IPO last year at the P/E ratio of 36 despite HDFC AMC having better profitability. At the same time, HDFC AMC has a healthy debt-free balance sheet which ensures a high Return on Net Worth (RONW) of 33.41%. Without doubt, these are impressive figures and the presence of HDFC in the name is an assurance that the figures are trustworthy. Ok, things look good for now but what about future? Fair question. The answer lies in the fact that India is witnessing something of a tectonic shift in its saving habits. While we have historically been a savings economy, more and more people are now losing interest in real estate and gold and opting for equities. Given the pitfalls of Do It Yourself (DIY) approach, mutual funds have an upper hand for a wide majority of working-class investors who don’t have time to regularly track stock markets. As financialization of savings pick momentum in India, the opportunity will increase for all players. All said and done, as much as 81% of mutual fund assets are currently held in top 15 cities. However, the fact that assets of beyond 15 cities have grown faster in the last five years indicates that this high concentration of top 15 cities is set to go down as more investors in smaller cities are getting attracted to mutual funds. Cleary, the addressable market is set to grow substantially in the coming years and there is no reason to believe that HDFC AMC will not benefit from this. Overall, HDFC AMC IPO review reveals that the company is a solid play on a trend that is just beginning to catch up with the rest of India. In all likelihood, it will be a wealth compounder provided you are lucky enough to get shares allotted. Grey market price movements indicate there is strong interest in the IPO which means the issue will be likely subscribed many times.